Research shows that listening to certain sounds can improve sleep quality by easing the brain into deep sleep and increasing overnight memory retention. 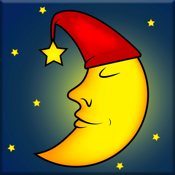 Enjoy a deep relaxing natural sleep with these high quality sounds. Listen to sounds of nature, soothing melodies, white noise, relaxing ambience and much more! Treat your body to a night of deep, restorative sleep. Designed to provide the most realistic, natural sound environment possible to help you relax and sleep better at night. Highly customizable, easy to use and tons of features. Whether you have insomnia, a newborn baby, or are just looking for a better night sleep this app has it all!